Birkenau was a second concentration camp built a few miles from Auschwitz. 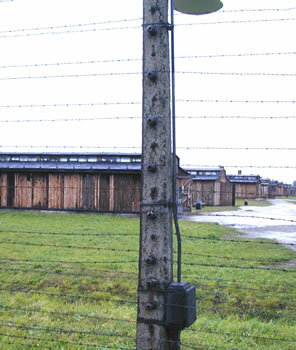 Because of the proximity of the two camps, they were sometimes collectively simply known as "Auschwitz." To distinguish between the camps, the original Auschwitz camp is sometimes referred to as "Auschwitz I" while Birkenau is called "Auschwitz II."